At the end of each school year, I loved giving a little something to my students. Most of these small gifts were bookmarks. I'd print them out on cardstock, and then I'd cut each bookmark out. I would then write a small good-bye letter on the back of each one. The kids loved getting these from me, and their parents always complimented me for giving their students something thoughtful. If you're looking for something sweet to give to your students, bookmarks are it. 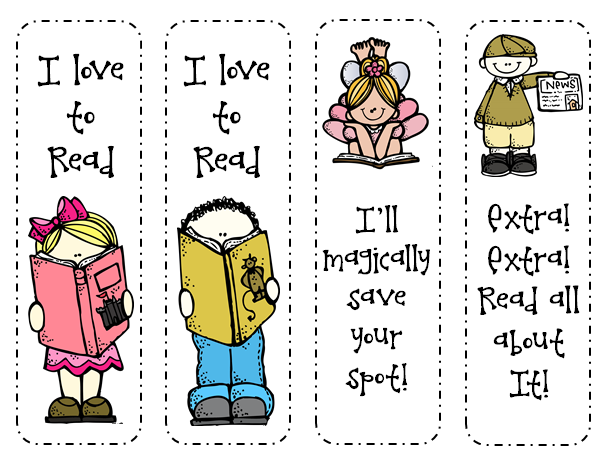 I have created 4 bookmarks that I think your kids would like to have. Feel free to click on the image below to download them for free. (Credits are provided within the download). To find more freebies like this, please visit me at Mommy & Me Creations. Thanks!